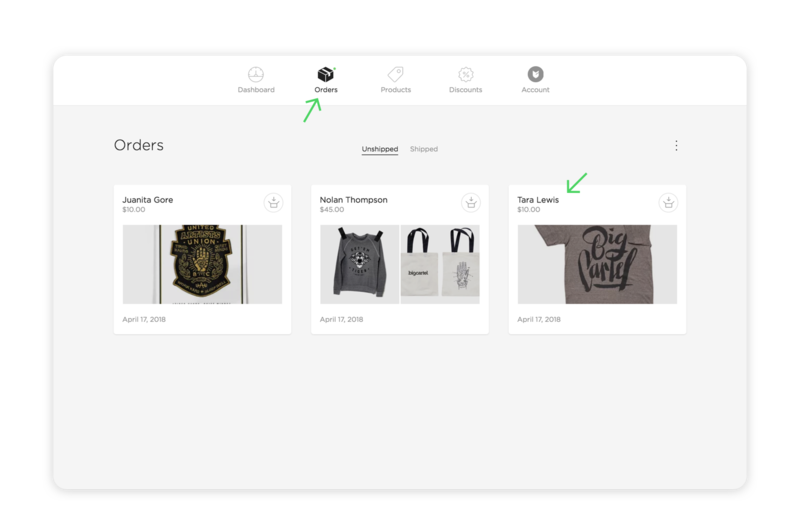 The Orders section is where to find info about everything you’ve sold to date. Check who’s placed an order, what they bought, and where you need to send it. Need details about a transaction? Click the View in Stripe or View in PayPal link within any order to be taken directly to the details in your Stripe or PayPal account. That’s where you can see the status of any transfers to make sure you’re gettin’ paid. Click on an order to view your customer’s info and what they ordered. To view the status of the transaction, click View in PayPal or View in Stripe. This is also where you can issue refunds if needed. Tap Unshipped or Shipped at the top to sort orders. 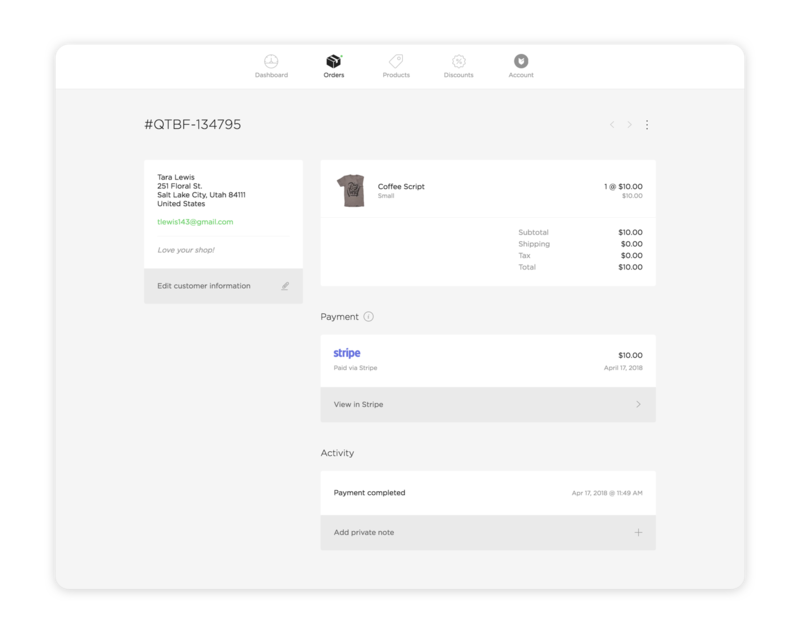 Tap on an order to view your customer’s info and what they ordered.